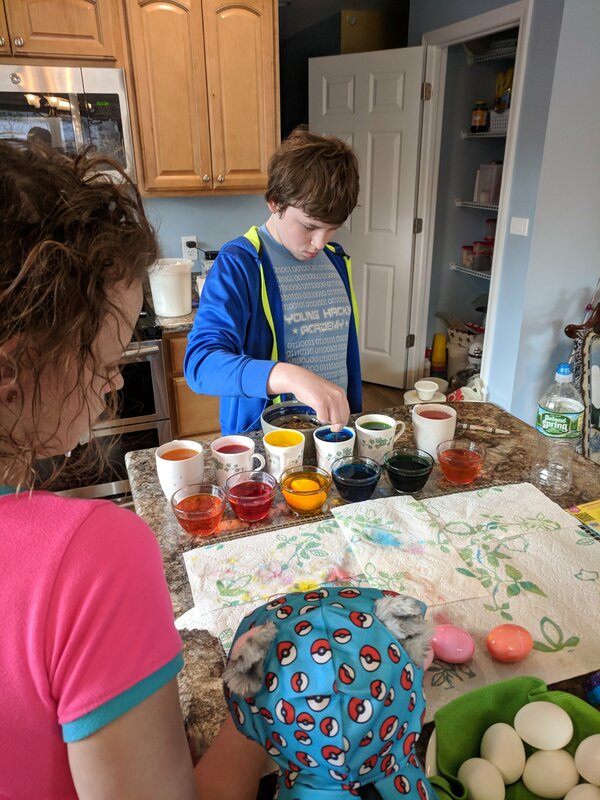 Easter this year was pretty low-key. After yesterday’s birthday fun, we were all ready for a “no plans” day. 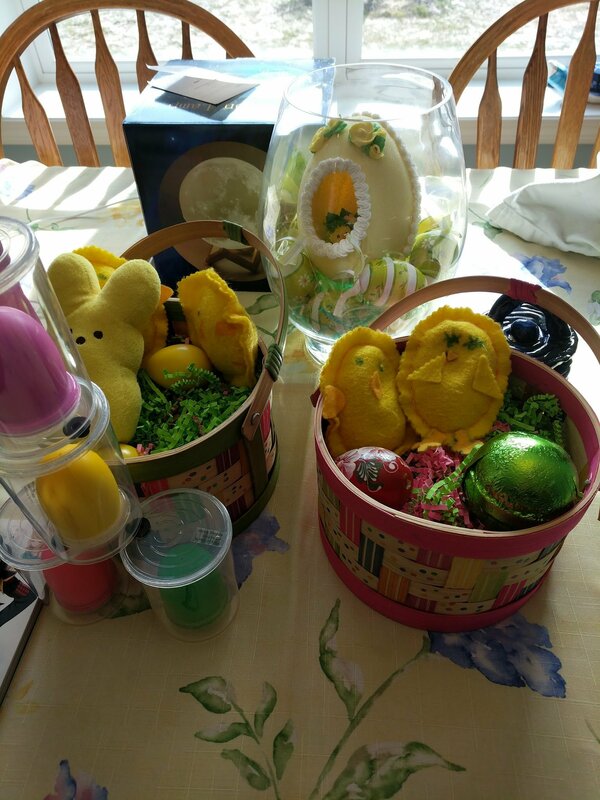 The kids woke to Easter baskets with minimal filling and no candy. There were a few little toys and big cookies from King Arthur Flour, which they ate before I took the picture. I intended to get jelly beans and chocolate eggs, but never quite found the time, without kids in tow! 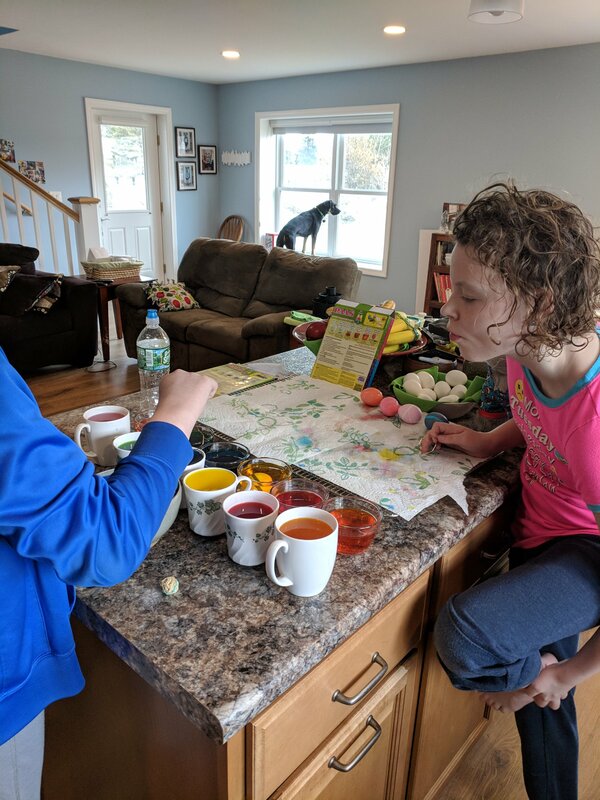 We spent the morning baking scones, banana bread, and buttermilk bread while listening to our audiobook and coloring Easter eggs. After that was done we settled in with our respective screens while the eggs dried. They kids seemed in no hurry to hide and find them. We took an afternoon trip to the dog park, only to find it was closed, and also windy as all heck, and also I forgot the leash. Later in the afternoon Eirene and her boys came over for dinner. I warned her that there would be no traditional Easter meal served.  We called around until we found an open pizza place. The kids ran and had fun. 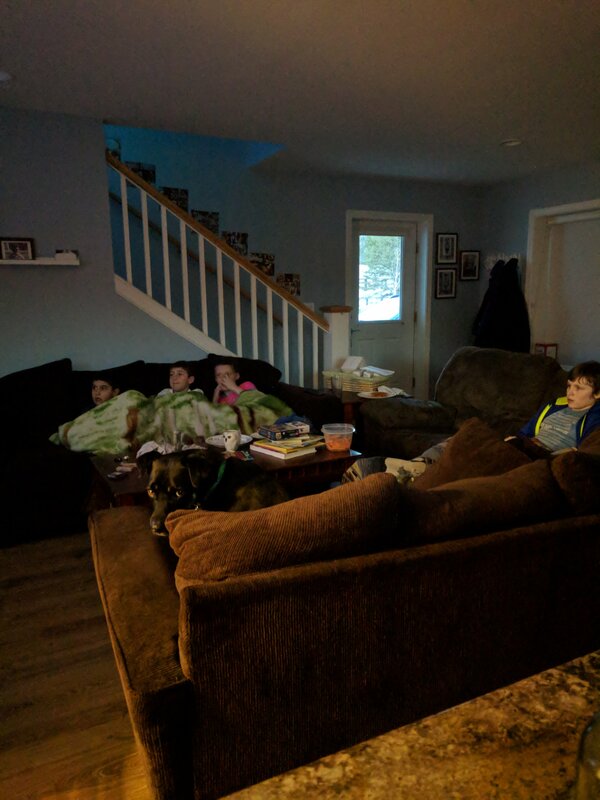 Then we snuggled up for dinner and a movie. 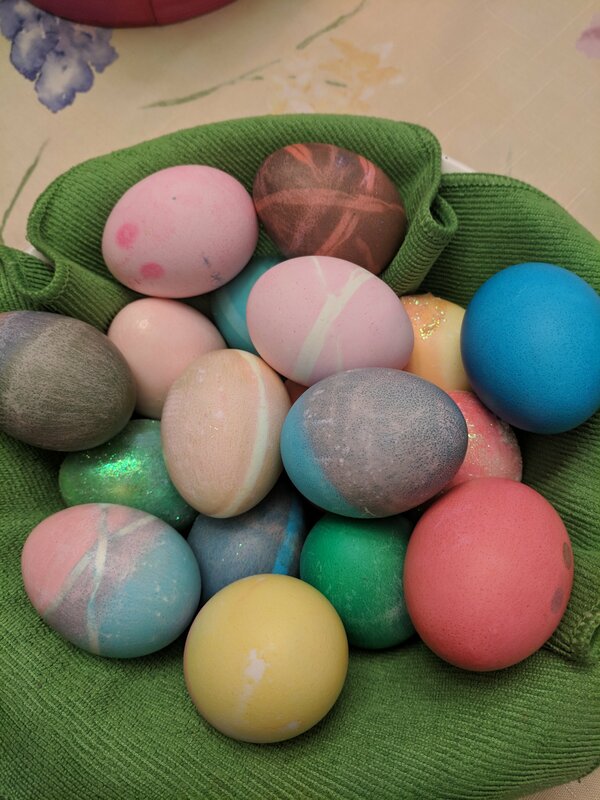 After the kids were in bed I noticed the beautiful bowl of Easter eggs that never got hidden. Oh well.